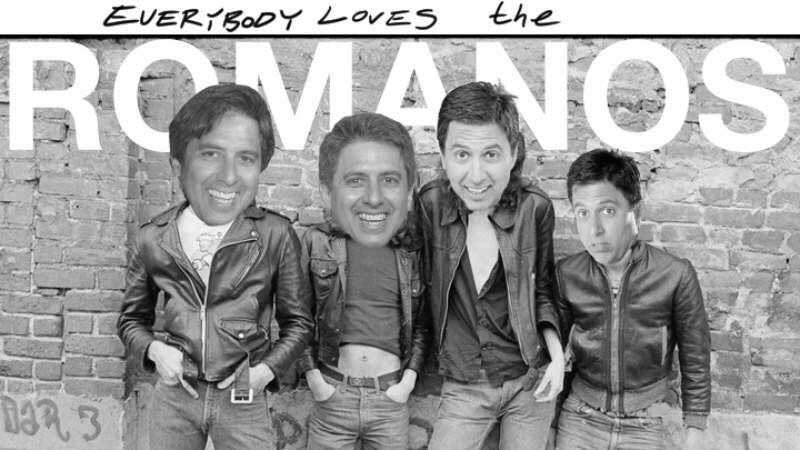 Everybody loves The Ramones, maybe even Ray Romano. A late night joke between friends led aspiring cartoonist and musician Evan Moore to create a parody of Ray Romano releasing Everybody Loves The Romanos, an album of his favorite Ramones classics. Moore was driving around with his buddy, Jon, and the Ramones came on Sirius XM. Jon misread it as The Romanos, and you can see where this is going. In actuality, this mashup may not be too far-fetched. After all, both Romano and Joey Ramone were born in Queens, New York during the 1950s and grew up in the Forest Hills neighborhood.